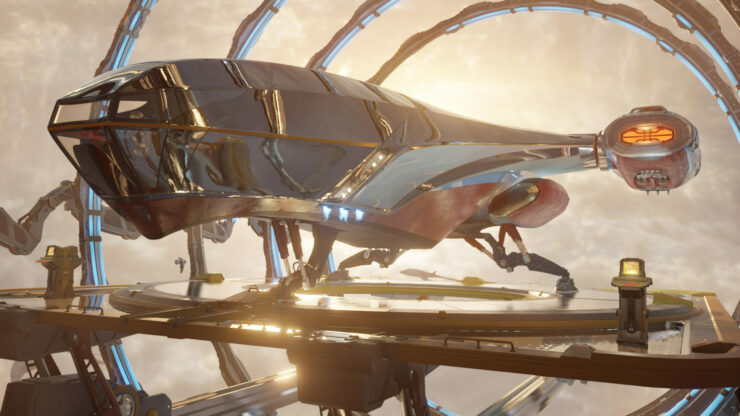 UL Benchmarks, formerly Futuremark, released their highly anticipated Port Royal benchmark this week that features Real Time Ray Tracing support so that we can now really test how powerful cards supporting this feature are in a controlled environment. But before digging into details on that topic I wanted to touch on a few of the upcoming things that UL Benchmarks is working on. Artificial Intelligence and Machine Learning may be buzzwords that gamers are tired of hearing, but they’re very real and important. So because of that UL Benchmarks is developing a way to test and validate the performance of AI/DL/ML claims. This is a good thing and should help everyone know where performance stands who looks to be entering these markets. After all a focus on safety is pretty important now that we’ve got self driving cards running over robots. I wish I was making that part up, but sadly it’s true. 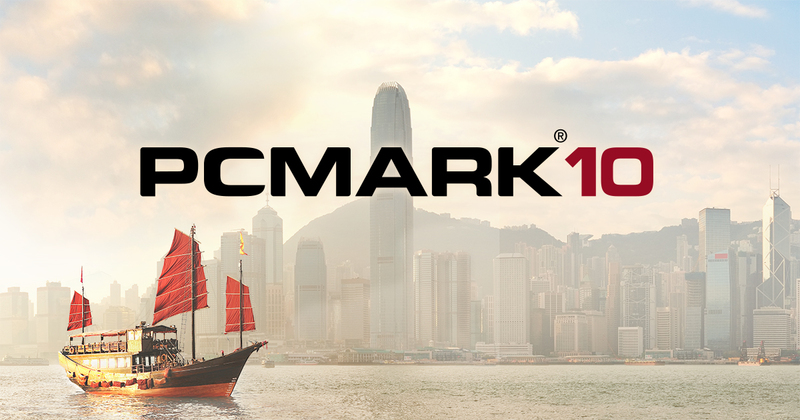 PCMark 10 is about to get a very useful update, Battery Benchmark. One of the harder parts to test on a mobile computer is indeed battery life as most tests either simulate a very low usage or a full blown usage scenario. The new battery tests will include an Office environment testing along with Gaming focused testing. Another big update is coming to the storage tests, it will now be able to identify between SATA and NVMe to give a much more accurate result in the end. Now that Port Royal is out and available you too can test the ray tracing capabilities of your graphics card, well provided your card can support it. NVIDIA showed off Port Royal running with DLSS enabled but UL Benchmarks made it very clear that DLSS would be coming later as a feature test and not part of the logged benchmark as it would create a clearly unfair advantage and that’s not what their program is all about. They listed out the types of Real Time Ray Tracing that the benchmark utilizes: Real Time Ray Traced Reflections and Real Time Ray Traced Shadows. Real Time Ray Traced Global Illumination is present but only for the Demo. In addition to having it all, you can disable it all. We did that for the graph down below, default with RTRT enabled, then no RTRT to measure the performance impact. 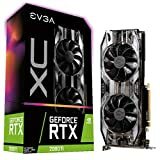 What about Radeon support and why only RTX card support right now? Well, that’s simple. Port Royal is built on the DXR layer of DX12 and such any card with DXR enabled drivers can run it. That means Radeon can run it and even Pascal based graphics cards, if AMD and NVIDIA so choose to. Right now however, AMD has not enabled their cards to run on this benchmark. That’s not surprising since they would have to be shown against cards with native RTRT support and would look downright abysmal by comparison. I have a personal theory that when, or rather if, NVIDIA enables Pascal based cards to run on the benchmark we’ll see AMD follow suit to showcase their compute prowess against a similar class card. 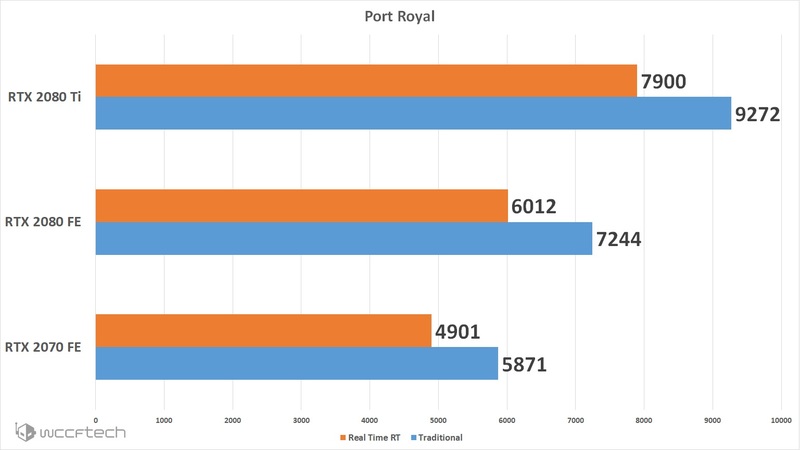 The above chart was a simple run comparison of Port Royal when run through the normal benchmark (Real Time RT) vs traditional/rasterized rendering (No RT Reflections or RT Shadows) to see how Ray Tracing impacts performance in this benchmark. If this isn’t quite stressful enough of a benchmark for you then don’t worry, Port Royal Extreme is on the way!